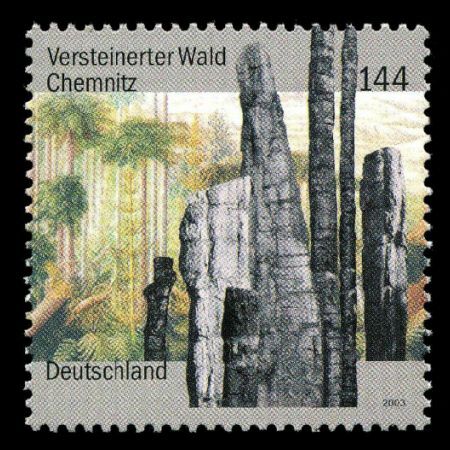 Germany 2003 "Petrified forest of Chemnitz"
A massive volcanic eruption about 290 million years ago in what is now Chemnitz give rise to a geological feature: the Petrified Forest. According to recent research, the plants were preserved using heavy-glowing rock material. In the course of time came silica and fluorite in the plant cells. They were responsible for the so-called silicification of plant material into stone. What exactly happened in this rare phenomenon, the science has not yet been able to resolve completely. 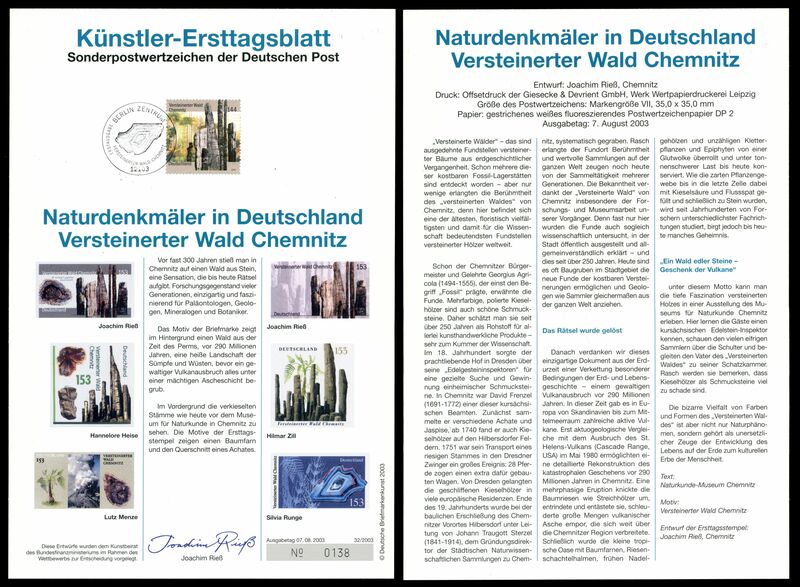 The References in Chemnitz are known worldwide as the oldest and most important of its kind. 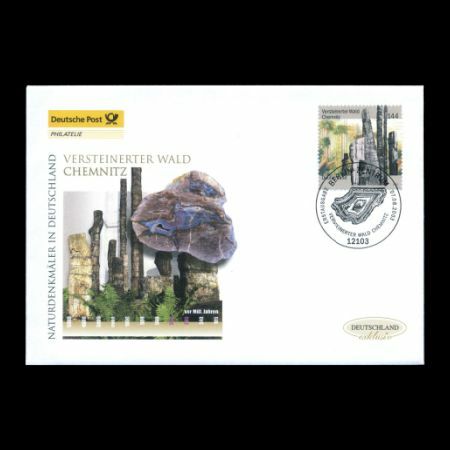 As early as the Chemnitz mayor and scholars Georgius Agricola (1494-1555) , who coined term "fossil", mentioned these stones that were once in a polished form as jewelry very popular. 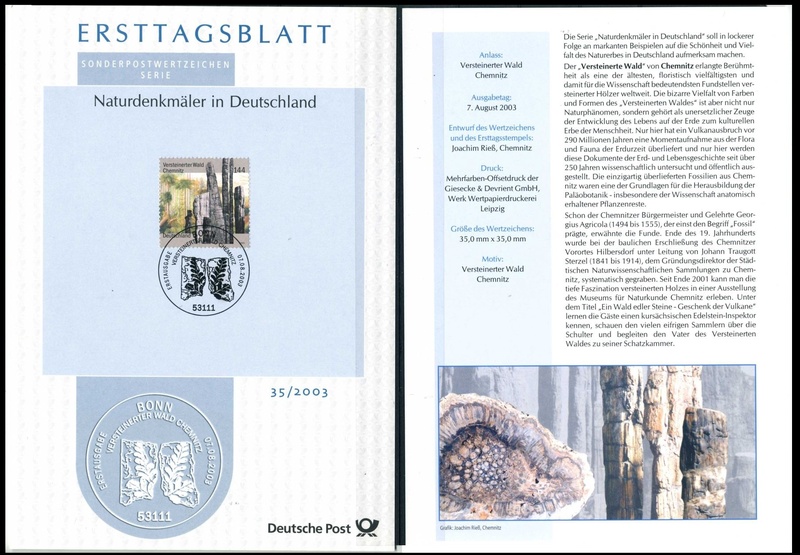 Under the leadership of Johann Traugott Sterzel (1841 to 1914) was the end of the 19th Century in the Chemnitz suburb Hilbersdorf systematically dug by such fossils. 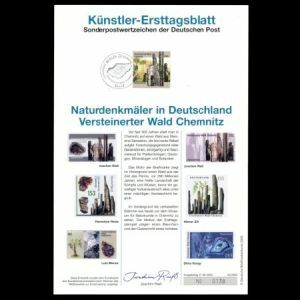 Since late 2001, gives the Museum of Natural History Chemnitz fascination petrified wood. 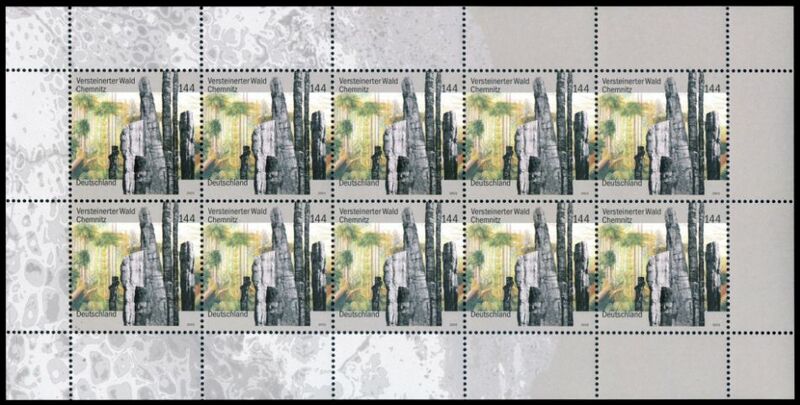 Some of the silicified trunks from the region are situated in front of the museum. 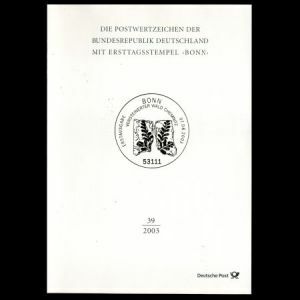 Since August 2004 the Museum is located in an important central building named TIETZ. The building has been constructed by H&C Tietz in 1912/13 following the French neoclassical style. 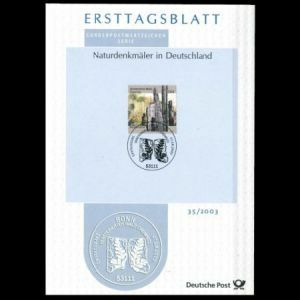 The historic shopping center hosts now the biggest civic collection and together with the arrangement of the 290 million years old Petrified Forest also one of the heaviest fossil complex. 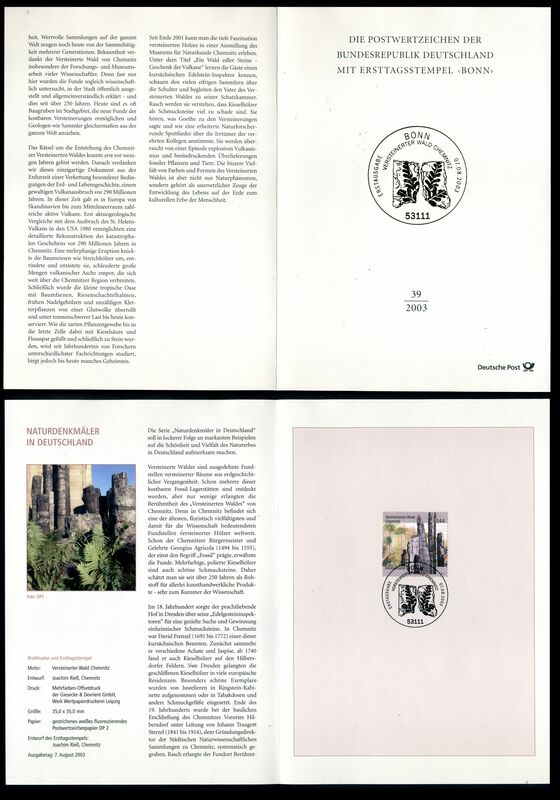 In additional to commemorative postmark of Bonn and Berlin the Museum of Natural History Chemnitz produced itsown commemorative postmark. 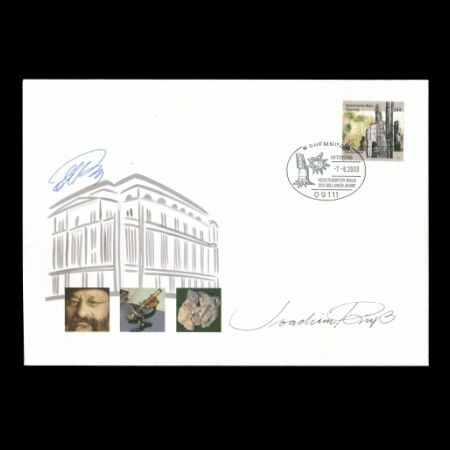 Postmark of Berlin used on official FDC of Deutsche Post, postmark of Bonn used on Souvenir Sheet and postmark of the museum used on their FDC. 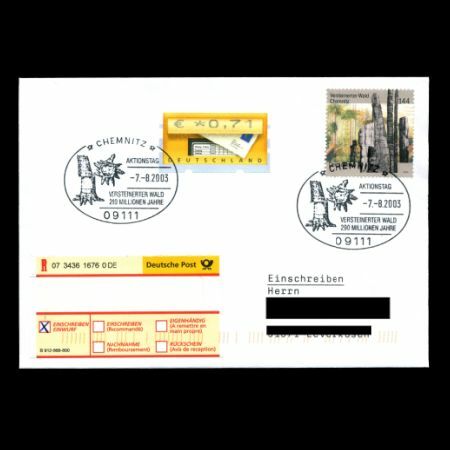 All three postmark can be also seen on several personalized FDC and circulated letters. 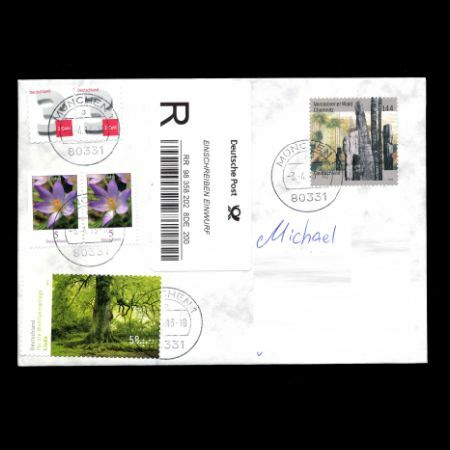 Offcial FDC of Deutsche Post (to see some more FDCs please click here) FDC of Museum of Natural History Chemnitz signed by stamp designer Mr. Joachim Rie and Chemnitzer graphic designer and artist Evgeniy Potievsky who designed the first day cover.